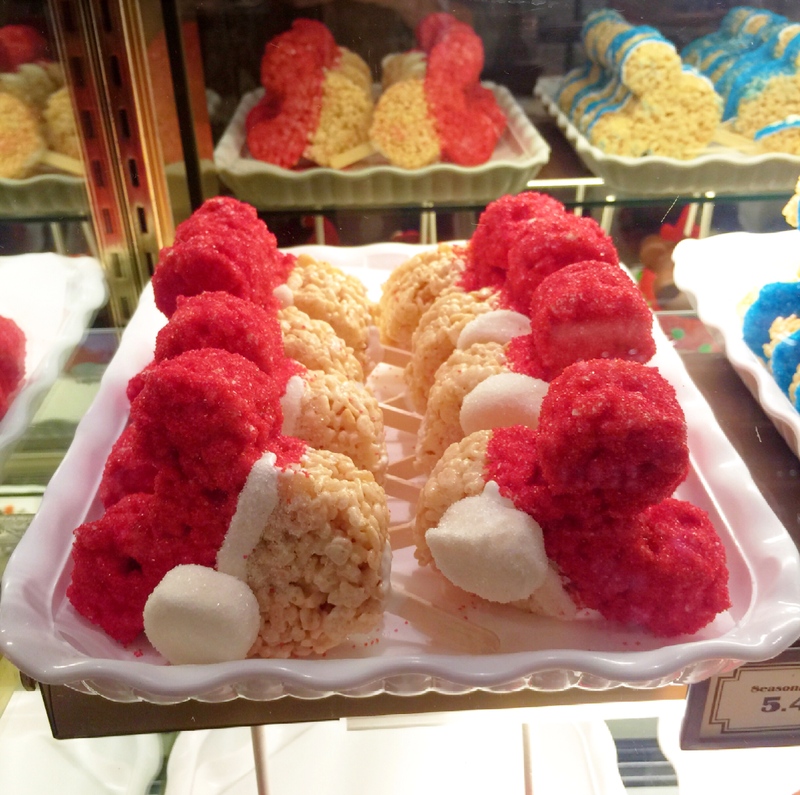 I wanted to share some of my favorite snacks from Cozy Cone Motel in Cars Land at Disney California Adventure Park. It is such a fun little spot for a snack pit stop! There are 5 giant cones that offer snacks such as “Route” beer floats, churro bites, pretzel bites, flavored popcorn, soft serve ice cream, and chili “cone” queso. In front of the cones is Sally’s Cozy Cone Motel lobby where you will find Lightening McQueen, Mater and Red from the movie Cars hanging out for photo opportunities. Back to the snacks, the churro bites cannot be missed. They are served in a classic orange cone and come with a slightly spicy chocolate dipping sauce. 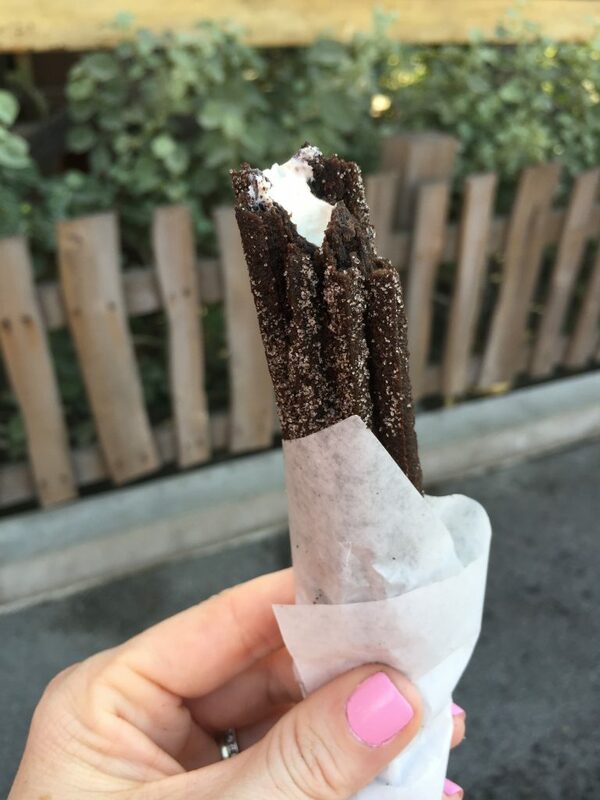 We recently tried the Oreo Cookies N Cream churro, which was a chocolate churro filled with cream filling. Yum!